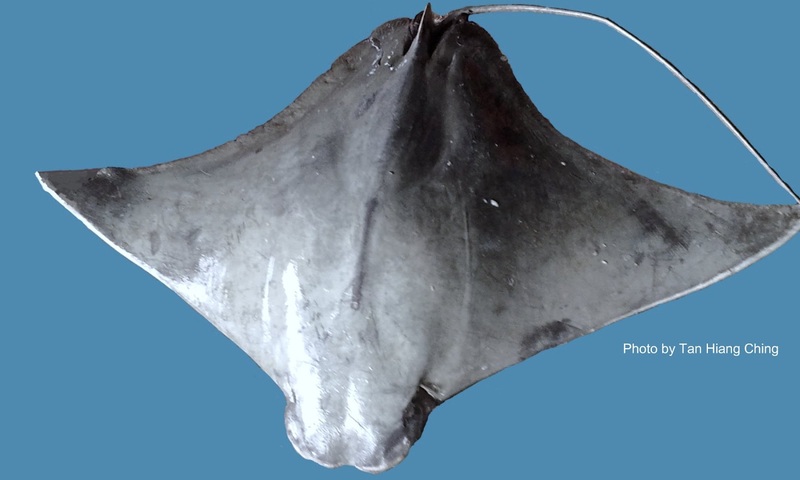 Cownose rays are the common names for the members of the Rhinopterinae, a subfamily for the Myliobatidae (Eagle and Manta Rays) family. Similar to stingrays, cownose rays have broad, wing-like pectoral disc and have a very long tail armed with spine. 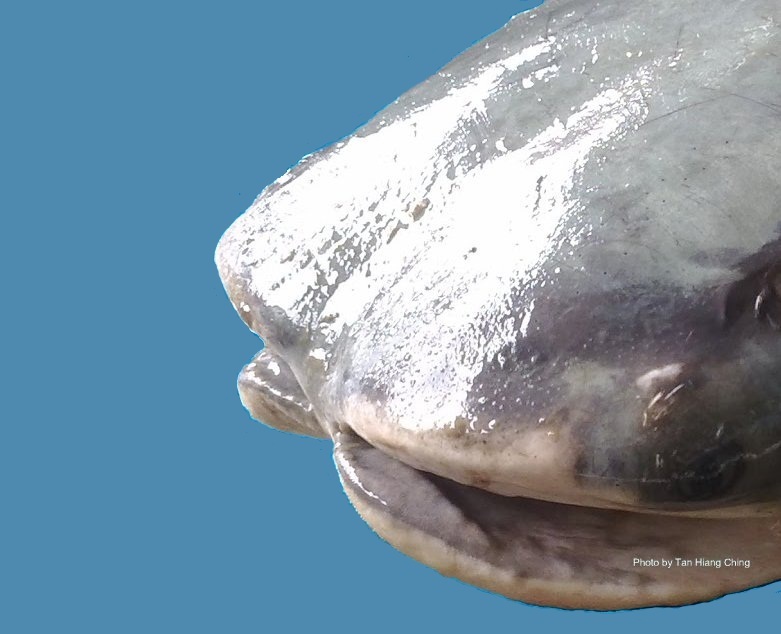 They are distinguished by their interrupted pectoral fin disc that formed a bilobed rostral fin, which makes their head seems like cow’s nose. Members of the Rhinopterinae are found in the warm-temperate and tropical continental seas worldwide. There is a single known genus and 9 species worldwide. They can be found from the seashore to a depth of at least 26 m, occurring on soft bottom in estuaries, lagoons, and enclosed and open bays. These rays are strong and active swimmers, found near or on the bottom but often swimming well above it in large school. They are more active than the stingrays and less likely to be stepped upon. Their stinging spine, which is close to the tail base, is not particularly effective as a defensive weapon. All species are live-bearing, bearing up to 6 young at a time. The powerful jaws and plate-like teeth, fitting close together in mosaic arrangement, form a grinding mill that allows these rays to feed on hard-shelled mollusks which includes crabs, lobsters, oysters, and clams. Main Diagnostic Features: Double-lobed snout and indented forehead. Jaws usually with 7 rows of plate-like teeth. Size: Maximum width 150 cm.